Prior to writing the finding aid for the Michael Davis Papers, I researched the collection’s contents and learned that Michael Davis was the chairman of the Committee for the Nation’s Health (CNH) during Harry Truman’s presidency. The CNH supported Truman’s national health insurance initiative and campaigned against organizations that opposed the program, such as the American Medical Association. Most of the collection contained publications, articles, press releases, and newsletters from the CNH and opposing organizations. Once I had a thorough understanding of the collection, I began my description. First, I described the collection as a whole by summarizing the types of documents it contained and the collection’s primary subjects and themes. I also provided the historical context of the collection and explained how the collection related to Harry Truman. My series description was brief because there was only one series, the Subject File. Again, I outlined the types of documents and the subject matter of the series, along with the series’ arrangement. Lastly, I described the collection at the file unit level by listing the folder titles for each box in the collection. There was other essential information I included in the finding aid, such as copyright information and information about the collection’s size and date span. 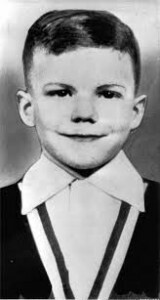 I also needed to compose a biographical sketch of Michael Davis’s life, which proved difficult because the collection had little information about him. However, after some research in the archive, I was able to create a timeline of Michael Davis’s education and employment history. My final step was to write the HTML webpage for the finding aid using a program called Dreamweaver. As a HTML document, the finding aid was added to the Truman Library’s website where it is now available to researchers. This entry was posted in HistoryMaking and tagged Archival Methods, finding aid, public history, Research, Truman Library and Museum, Writing on November 28, 2016 by Kevin Ploth. This week I want to talk about the differences between academic writing and writing for a website or exhibit. I feel like this has one of the most difficult parts of this internship. The past four years of my education have given me a habit of writing in a certain way which includes more formal language, quotations, and citations. Writing for this website is different because I’m not riding for a professor to read a paper. Instead, I’m writing for an audience who may not have any scholarly interests on the topic. This means that I had to get rid of all the citations and quotations and use different language that is not so academic and rigid. The text has to read more like a novel instead of an essay and has to be interesting for someone who doesn’t want to sit down and read an academic paper. Like I said, my education so far has taught me to write in a certain way and this project has challenged me to change how I write. I kept thinking in terms of introductions, body paragraphs, and conclusions. I really needed to be focusing on a narrative and telling a story. This is especially difficult for the script for a video that’s going to play at the beginning of the website. I need to give an overview of Snow’s life in a matter of minutes in a video that would just grab someone’s interest enough to make them want to go browse the site. It has been challenging trying to decide which things to discuss in the video and how to discuss them. I imagine that this is one of the challenges a lot of people face when they change from academic work to public history work. On the other hand, I am always up for something that is going to make me work so it has been a lot of fun trying to figure out how to speak to a different audience. This entry was posted in HistoryMaking and tagged digitalhistory, edgarsnowproject, Writing on December 2, 2014 by Autumn Neal. The right balance rarely an ideal 50/50 split. For our internship, Natalie and I were tasked to research local historic buildings and write about them. The individual entries are going to aggregated and published in the revised version of A Place in Time, a guide to historic buildings in Kansas City. Beyond the research, which I’ve documented in previous posts, there’s the difficult task of writing the entries. This post will walk through the entry writing process, following my decision making process for striking a balance between historical information and architectural analysis. Most writers — not just HistoryMakers — should start out by considering their audience. For the revised A Place in Time, our assumed audience is the general public. That phrase sounds good, but what does it mean? What information should we assume our reader will already know? We certainly don’t want to come off as condescending, but at the same time we don’t want to alienate readers by assuming that they are familiar with local history or architectural terms. So, writing for a general audience, I tried to excise all jargon from my entries, sometimes using less precise words; after all, it’s much more important to convey the appropriate idea than it is to show off a huge vocabulary. We also provided brief introductions and historical background when needed. 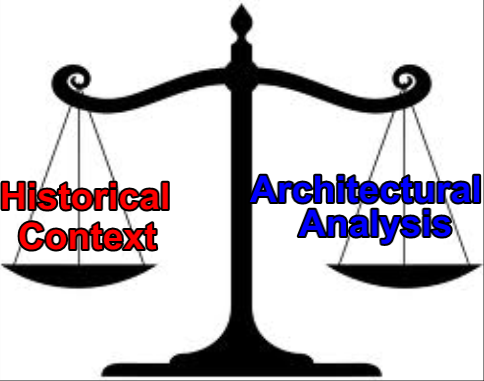 Finally, as a book on the history of architecture, we had to decide how to split up each entry between historical information and architectural analysis. Each entry was like a cocktail, and we had to find a reasonable blend of historical and architectural information for each entry. While I generally tried to split the information evenly, the decision varied for each site. Some buildings, like Notre Dame de Sion’s Midtown campus, were connected to compelling local stories like the Greenlease Kidnapping. Naturally, that story plays a part in the Sion entry. Other buildings were much more architecturally interesting, or maybe lacked a notable historical anecdote. In those cases, the entry focused on architectural description. Ultimately, our authorial choices reflected the needs of our presumed audience and the strengths of each particular site. Or, at least, that’s the hope! This entry was posted in HistoryMaking and tagged Analysis vs Context, Audience Aware, Kansas City, MO Historic Preservation Office, Writing on May 16, 2014 by Matthew Reeves.